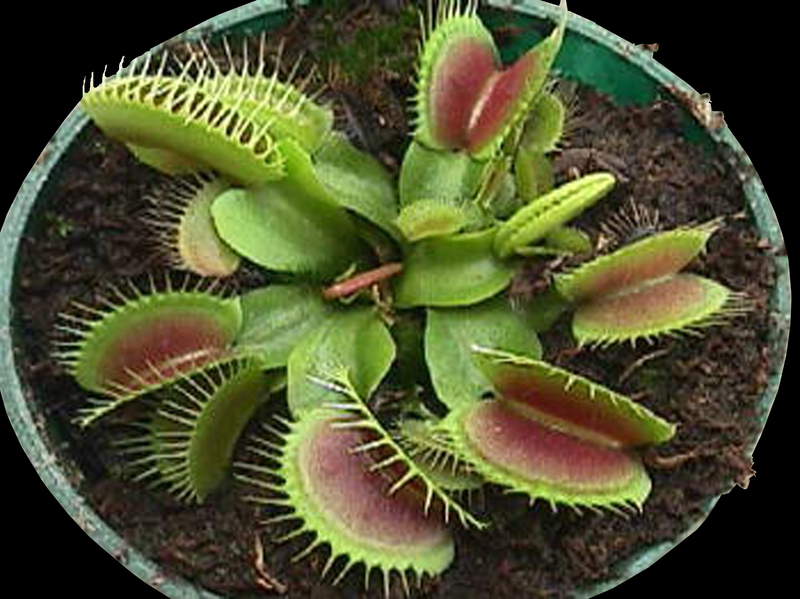 This is the 'Fine Tooth x Red' cultivar of Venus Flytrap, and a very nice plant indeed! According to certain sources, 'Fine Tooth x Red' is a cross between a sawtooth (“Dentate”) form of flytrap and some sort of reddish one. The resulting selected plant has teeth which are fairly triangular, like extended shark's teeth. We have found it to be very colorful, with wonderful red-mouthed traps when grown in good light. Of course, watching the traps chomp down on a nice juicy insect meal is intriguing to people of all ages. These are small plants, potted in 3-inch pots and ready to grow, so all you do is water.